St. Vincent's was established originally in Soulard in 1858 as a Catholic hospital by the sisters of the order of the Daughters of Charity of St. Vincent de Paul. 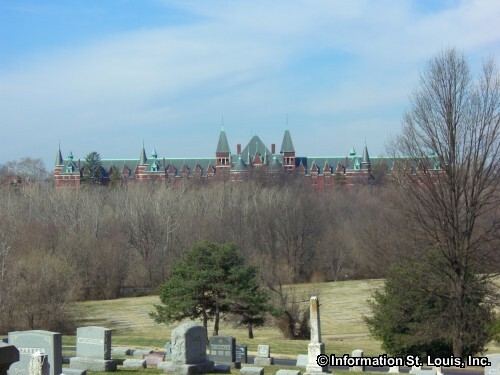 The building in Normandy was built for the Sisters in 1894 and has had several names, St. Vincent's Hospital, St. Vincent's Sanitarium and St. Vincent's Institution. It was a hospital and home for those with nervous and mental diseases, as well as those with alcoholism and drug addictions. 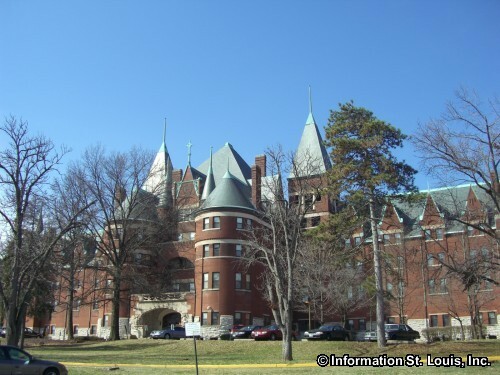 Designed by Harvey Ellis and George R. Mann in the Renaissance Chateauesque architectural style, St. Vincent's is an impressive, if somewhat foreboding, building. 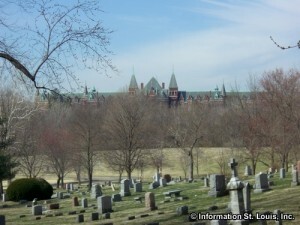 It was placed on the National Register of Historic Places in 1982. 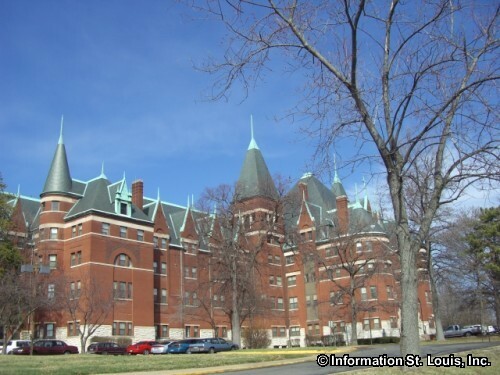 St Vincent's is now Castle Park Apartments which are government subsidized housing.